What do Elton John and The Jacksonville Garden Club in Florida have in common? 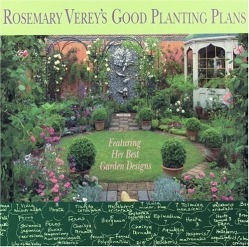 They both like plants and Rosemary Verey's Garden Designs. This book contains more than 25 of her designs. From knots to plots and every size in between, Rosemary Verey has created a garden for it. Each garden design is accompanied by color photos, plant listings and descriptions as well as a watercolor layout. What I really like about the book is how many of the plants are herbs. Herbs are such a natural choice for the landscape because they bring life and use to the garden. I particularly liked her Outdoor Dining Room Garden. In a small space, she was able to create a relaxing atmosphere capable of hosting leisurely lunches or sumptuous suppers both enhanced by the wonders of plants. As with all books written about plants, be sure to check a reliable source to ensure that your area is appropriate for the plant you choose. If it is a plant we grow here at Mountain Valley Growers, you can check it out in our catalog or on our website. 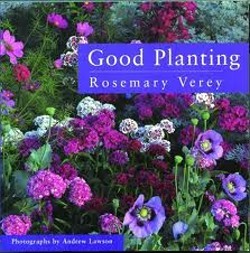 Additional books you might like on cottage gardening!